Terry Hamilton's Heart to Heart and jockey Julien Leparoux cruised to a convincing win in the 2014 Commonwealth Turf over the Churchill Downs turf course. (Reed Palmer, Churchill Downs). Terry Hamilton’s Heart to Heart, a fan favorite for both his on-track success and the distinctive heart-shaped star that adorns his forehead, bids for a Churchill Downs hat trick when he takes on eight rivals in the 38th running of the $100,000 River City Handicap (Grade III) on the Thanksgiving Day undercard. 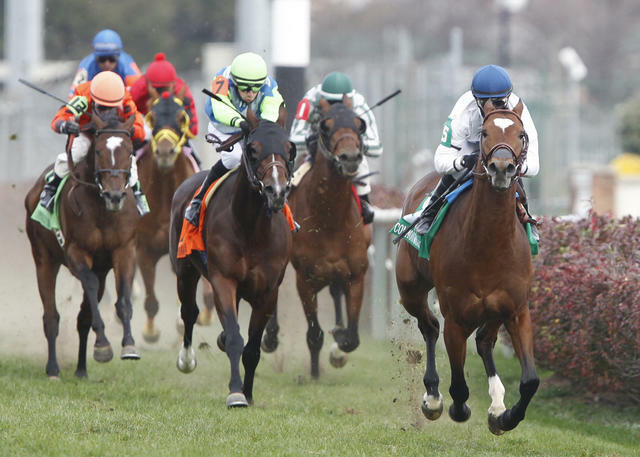 The 1 1/8-mile turf test is scheduled as the 10th of 12 races on the holiday program. The Ontario-bred 4-year-old son of English Channel comes into the race off a disappointing 10th-place run behind Grand Arch over yielding turf in Keeneland’s Shadwell Turf Mile (GI). But Heart to Heart is unbeaten in two stakes outings at Churchill Downs with victories in the 2014 renewals of the Jefferson Cup (GIII) and Commonwealth Turf (GIII), both restricted to 3-year-olds. A victory in the Oceanport Handicap (GIII) on Aug. 14 at Monmouth Park is the only victory in five races for Heart to Heart since his back-to-back wins at Churchill Downs. Heart to Heart has a record of 6-2-2 in 17 races and is 5-1-1 in 10 stars on the grass. He has earned $456,640 during his career. 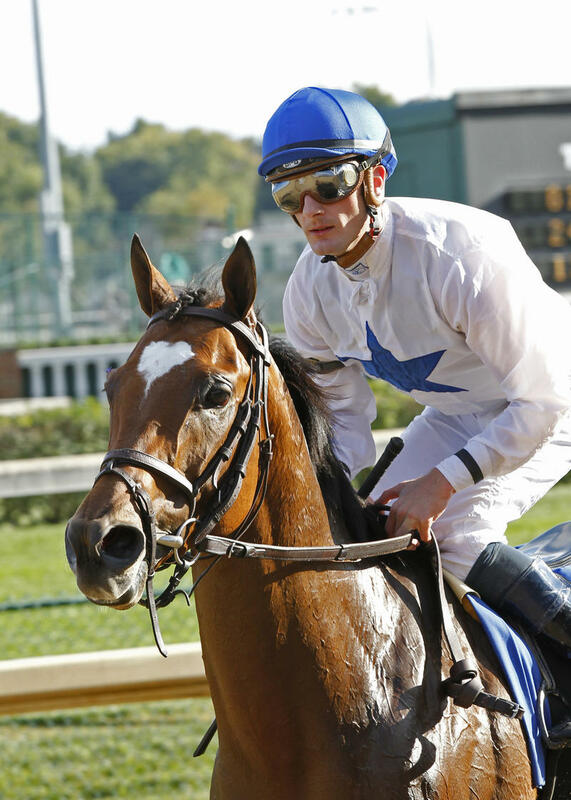 Jockey Julien Leparoux, who was aboard Heart to Heart’s in last year’s wins at Churchill Downs, returns to the saddle. Heart to Heart will carry 121 pounds from post three as the 2-1 second choice in Mike Battaglia’s morning line odds for the River City. Heart to Heart’s effort to remain perfect over Churchill Downs’ Matt Winn Turf Course will be challenged by a pair of accomplished rivals in European import Messi (GER), the 9-5 morning line favorite, and Canadian shipper Are You Kidding Me, the 5-2 third choice. Gestut Brummerhof’s Messi started his career in Germany, but has won three of four races since he arrived in the U.S. barn of Kentucky Derby-winning trainer Graham Motion. 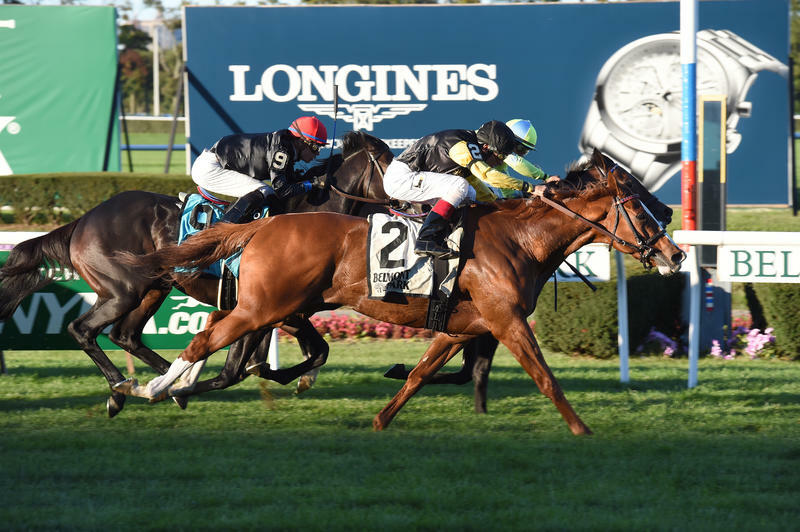 The 5-year-old New Approach gelding scored his first U.S. stakes victory with a nose victory in his most recent start in the $200,000 Knickerbocker (GIII) at Belmont Park. Jockey John Velazquez has been in the saddle for all four of Messi’s stateside races and will be in the saddle for his River City run. Messi has a career record of 5-5-0 in 16 races with earnings of $302,899. He will break from post six in the River City and was assigned 119 pounds. 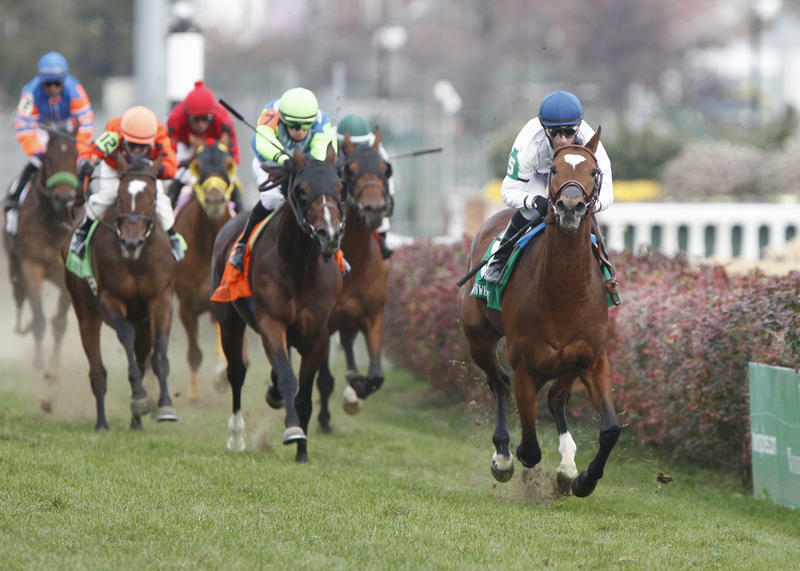 Ronald K. Kirk, John C. Bates and Michael Riordan’s Canadian invader Are You Kiddin Me comes into his Thanksgiving Day engagement at Churchill Downs off a half-length victory in the $200,000 Autumn Stakes (GII) at Toronto’s Woodbine. Trained by Canadian Hall of Famer Roger Attfield, the 5-year-old son of Run Away and Hide also scored 2015 stakes wins in Woodbine’s Eclipse Stakes (GII) and Nijinsky (GII). Alan Garcia has been in the saddle for all of Run Away and Hide’s seven 2015 starts and will ride Attfield’s charge in Thursday’s race. Are You Kiddin Me has a career record of 6-3-6 in 24 races with earnings of $661,566. The River City’s 124-pound high weight breaks from gate four. The River City Handicap field, from the hedge out (with jockey, weight and morning line odds): Dac (Robby Albarado, 112, 30-1), Kalamos (Abel Lezcano, 115, 20-1), Heart to Heart (Leparoux, 121, 2-1), Are You Kidding Me (Garcia, 123, 5-2), Perfect Title (Ricardo Santana Jr., 115, 15-1), Messi (GER) (Velazquez, 119, 9-5), Knights Nation (Calvin Borel, 115, 12-1), Gabriel’s Cat (Victor Lebron, 112, 30-1) and Thatcher Street (Brian Hernandez Jr., 115, 15-1).